I came up with a list of my favorite party trends that I saw featured on various sites at the close of 2013 and into the beginning of 2014. Instead of trying to compile them into one post, I decided to make this a 2 part-er! You can read the rest of my top picks same bat day and channel - next week! Here are my first five choices! You'd never notice by looking at these iPod Touch treats but they're actually DIPPED Pepperidge Farm Chessman cookies from this fun 1D Movie Night party by Anders Ruff ! I also love how Jessica Beekman Roe of Everyday Party Magazine dipped delicious homemade marshmallows in colorful sprinkles! I am telling you - a disco dusted sweet treat is EVERYTHING a sparkle-loving girl could ever want! 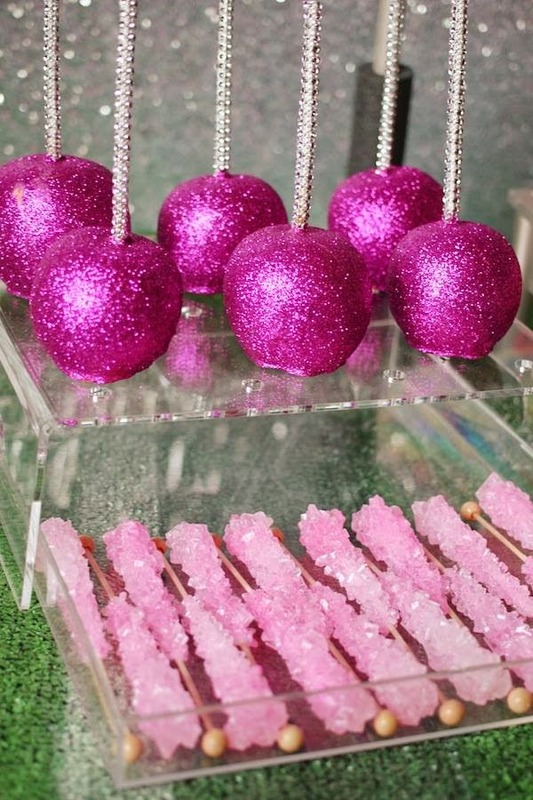 These adorable cake pops and candy apples by Autumn Gadbois of Autumn Lynn's Chocolate Sins are crazy popular right now. 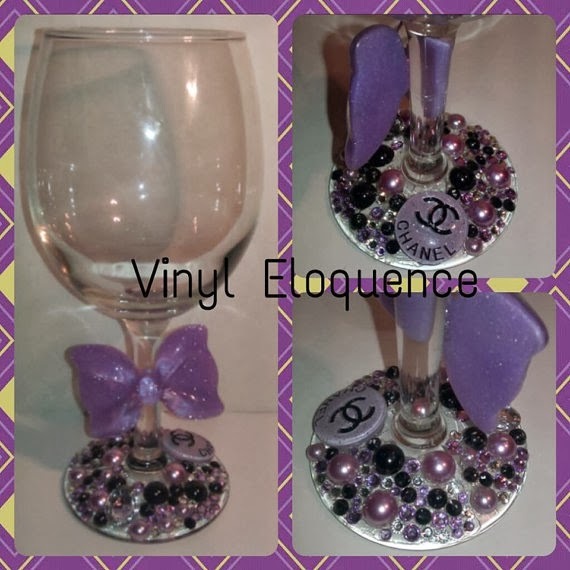 I immediately fell in love with these crazy cute blinged out wine glasses designed by Talia Foster of Vinyl Eloquence. They're perfect for a girlfriend soiree or wine tasting party! 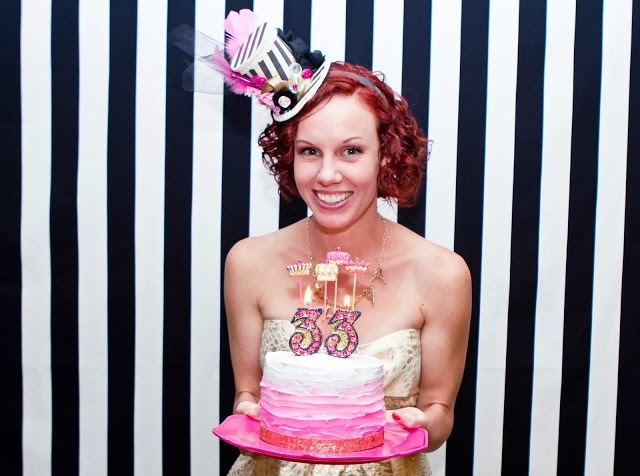 So, when I made these cutesy mini top hats for my daughter's Monster High Party, I had no idea they'd be so popular. 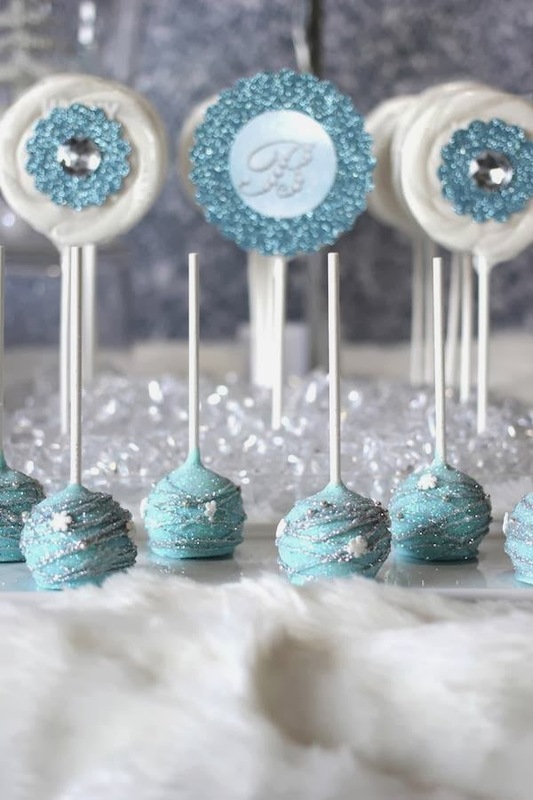 I've had the pleasure of working with some pretty talented stylists (like, Tonya Coleman of Soiree Events, Kenna Leary O'Brien - Miss Party Mom and Christy Dempsey Skerski of Flaired Events who were kind enough to include my tiny toppers as part of their party wear for their guests. I think the min top hat is taking party wear up a notch! Okay....so, I noticed a lot of gold polka dotted things the later part of the year in '13.... I'm kinda hoping they stick around cause they're crazy cute! 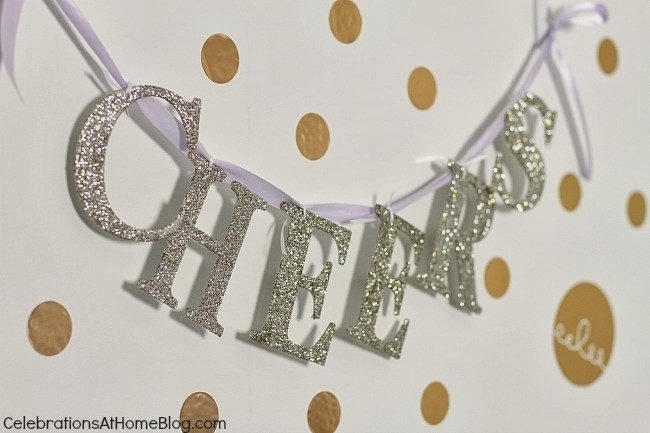 I love this gold polka dot backdrop idea created by Chris Nease of Celebrations at Home. Chris used gold adhesive dots that she purchased from Target to create an eye catching back drop to a pretty swanky champagne bubbly bar! I can see this being a huge trend this year.....I mean, there's like a whole Pinterest board dedicated to gold polka dots! That's all for now....be sure to come back next Thursday and see my other fun and fab party faves for this year! Great picks Keisha. Of course your top hats are awesome! I love the polka dots too. All of these are amazing great choices love looking at so much talent! 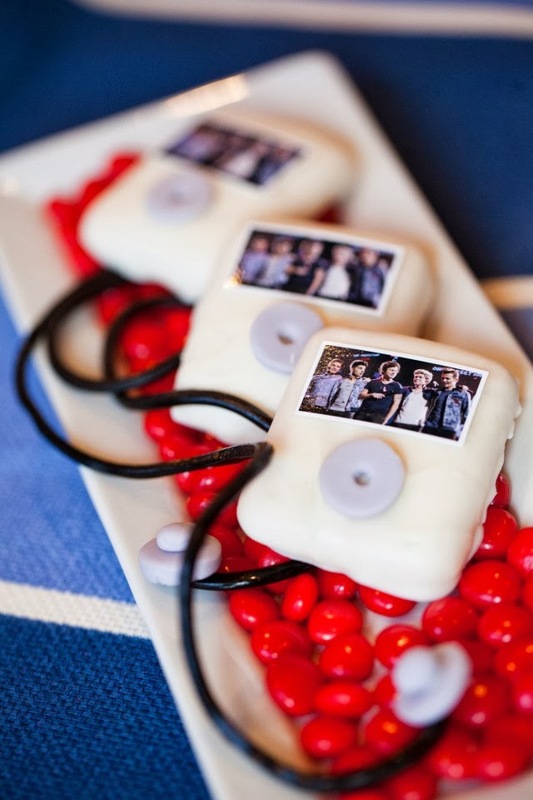 Thanks for sharing our 1D party! Love it! I need one of those hats!